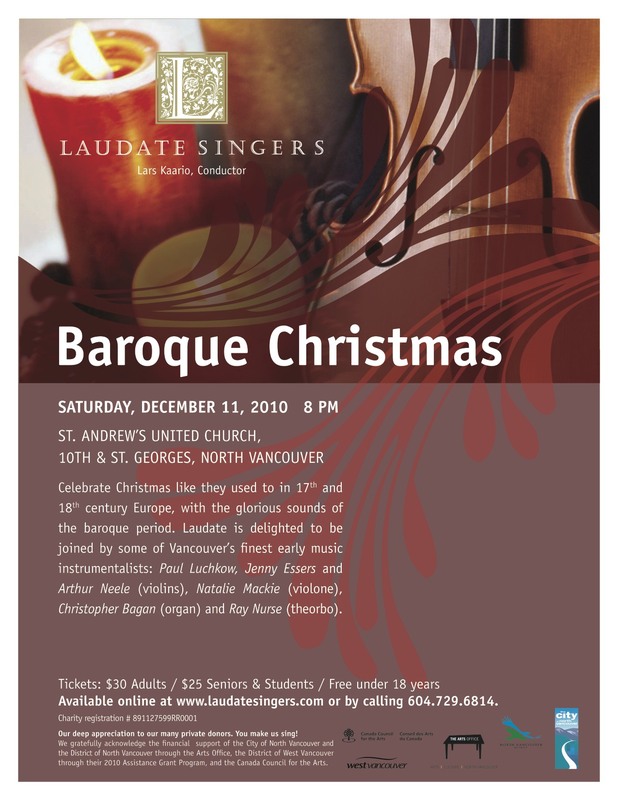 Celebrate Christmas like they used to in 16th & 17th century Europe, with the glorious sounds of Laudate Singers and early music instrumentalists Paul Luchkow, Jenny Essers and Arthur Neele (violins), Natalie Mackie (violone), Christopher Bagan (organ) and Ray Nurse (theorbo). We visit Germany and France of old with treasures by Praetorius, Schütz, Hammerschmidt, Charpentier and Bouzignac. Enjoy music, visuals, refreshments and good company – Christmas cheer now and then!